Calif. Gov. 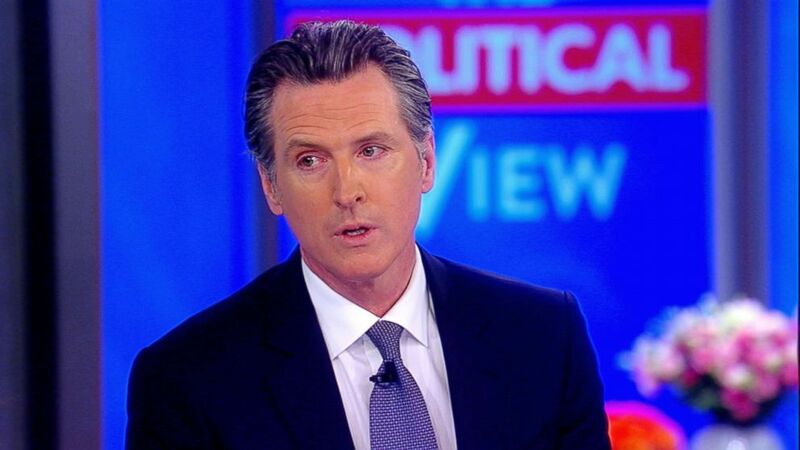 Gavin Newsom defended the suspension of the death penalty in his state during his appearance on "The View" on Friday. On Wednesday, Newsom introduced a moratorium on the death penalty, putting 737 executions in the state on hold. He categorized the decision as a "moral" and "very emotional" one. "I would be asked to sign off on one death every single day for two-plus years, one a week for 14 years," he told The View hosts, "knowing that at least 4 percent of those, 30-plus people, were innocent." California has the Western Hemisphere's highest number of people on death row, according to the governor. "We had a person 26 years on death row that was just exonerated last year," he added, as an example of the more than 100 US citizens on death row that have been found innocent. Newsom has served as the state's governor since January, after serving as the lieutenant governor for eight years. This is not the first time he vocalized his stance on the death penalty. In 2016, the then-lieutenant-governor endorsed a ballot measure that would have repealed the death penalty in the state. California residents voted it down. Newsom said he was elected for and has the right to exercise his best judgment. "I am afforded, pursuant to the constitution, the ability to make this determination," he told The View hosts. "I don't do it flippantly. I have deep respect and admiration for people who have a different point of view." Newsom added that he spoke with the family members of victims of death convicts no fewer than 12 times in the last week. "'There's nothing I can do to bring your child back,'" he said he told families who disagreed with his decision. "'There's nothing I can say to change your point of view.' The fact is though I'm entrusted to do something much broader than just address one individual case." He also addressed broader issues such as disparities in the criminal justice system. "You're better off in this country if you're rich and guilty than if you're poor and innocent," Newsom said to applause. He addressed the issue with ABC affiliate station KGO on Wednesday. "The American justice system is completely broken, and we all are perpetuating it. The systemic racism, the implicit bias, the overt bias, the whims of prosecutors based on geography, based on the will of people in the moment, fear and anxiety... until we address that I don't think we can do what Saudi Arabia is doing and what North Korea is doing," Newsom said. One prominent opponent to the governor's decision was President Donald Trump. - Donald J. Trump (@realDonaldTrump) March 13, 2019Trump tweeted that Newsom was "defying voters" by halting the executions of "737 stone cold killers." "Friends and families of the always forgotten VICTIMS are not thrilled," tweeted the president, "and neither am I!"